I'm about to go on the street, or "hit the bricks", as we call it. I bought a juicer on Wed., so I have been drinking juice twice a day. 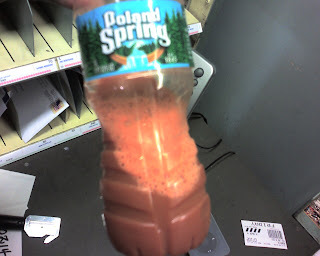 Right now it's apple,celery, and carrots. If you know of any other good recipes, leave a comment.